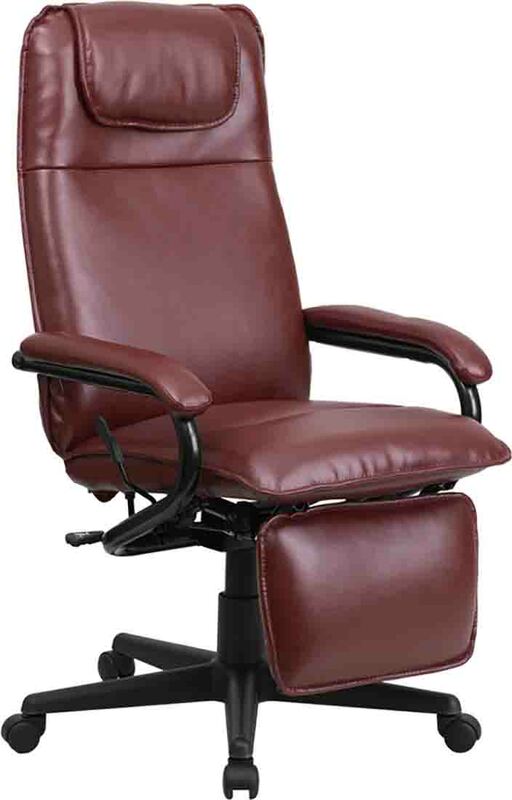 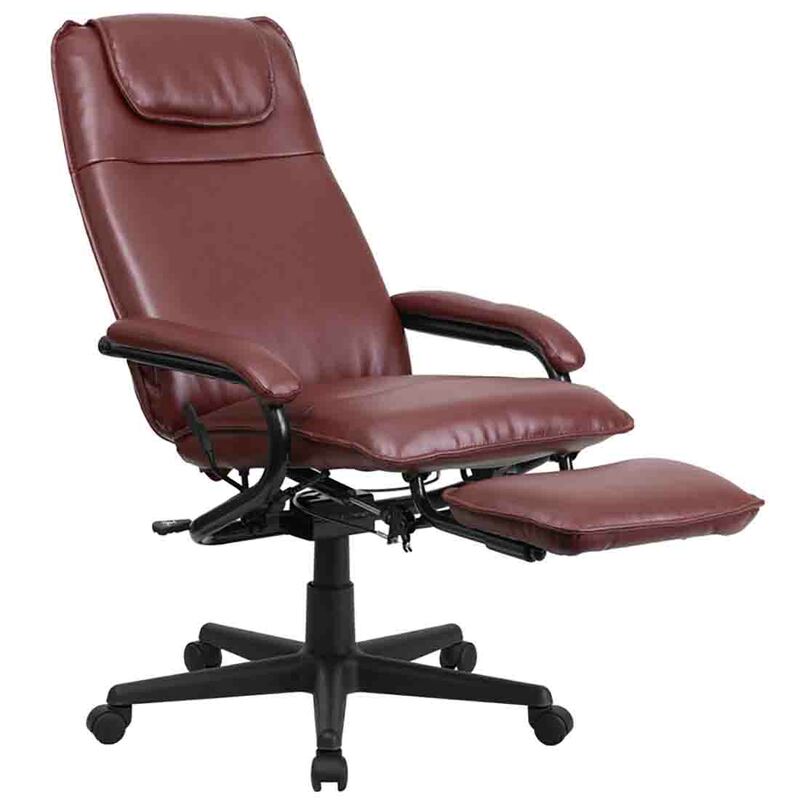 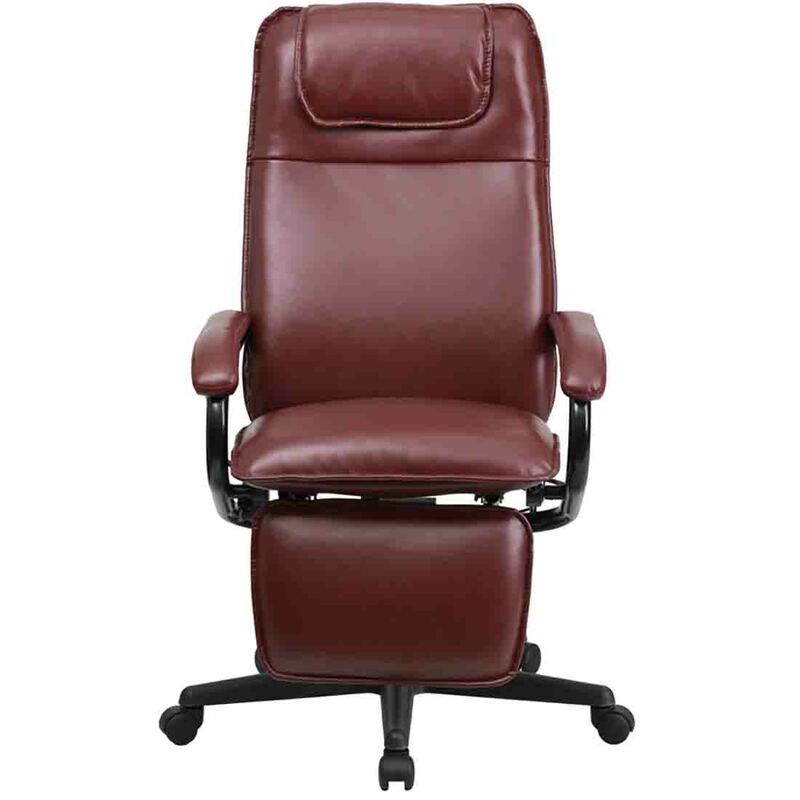 Go from sitting to a Reclined and Relaxed position in seconds with this Reclining High Back Executive Office Chair! 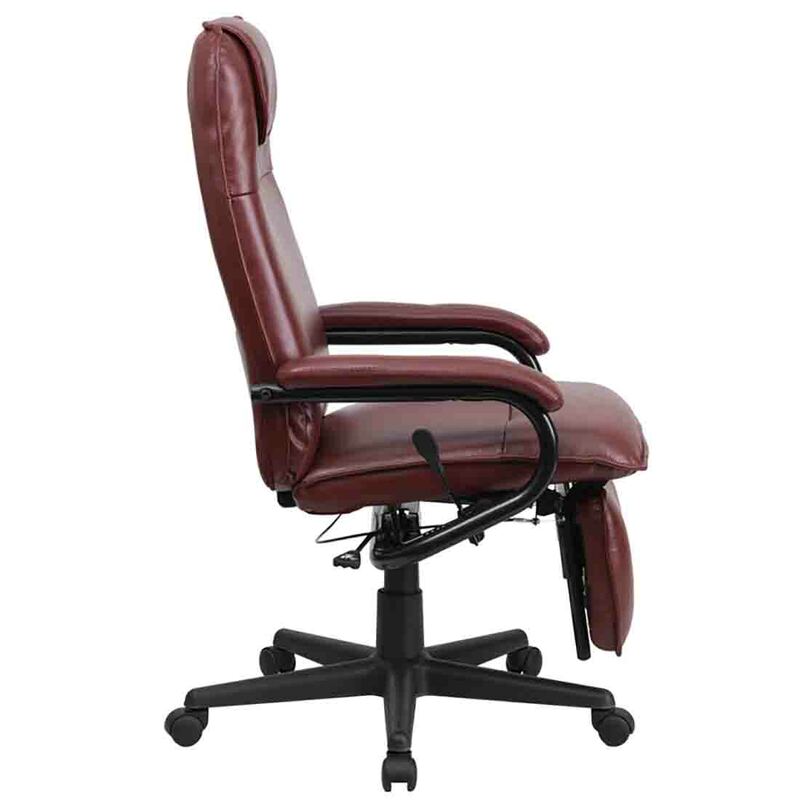 Now you can have the best of both worlds with this dual designed office chair that offers you the comfort of a recliner in an office chair. 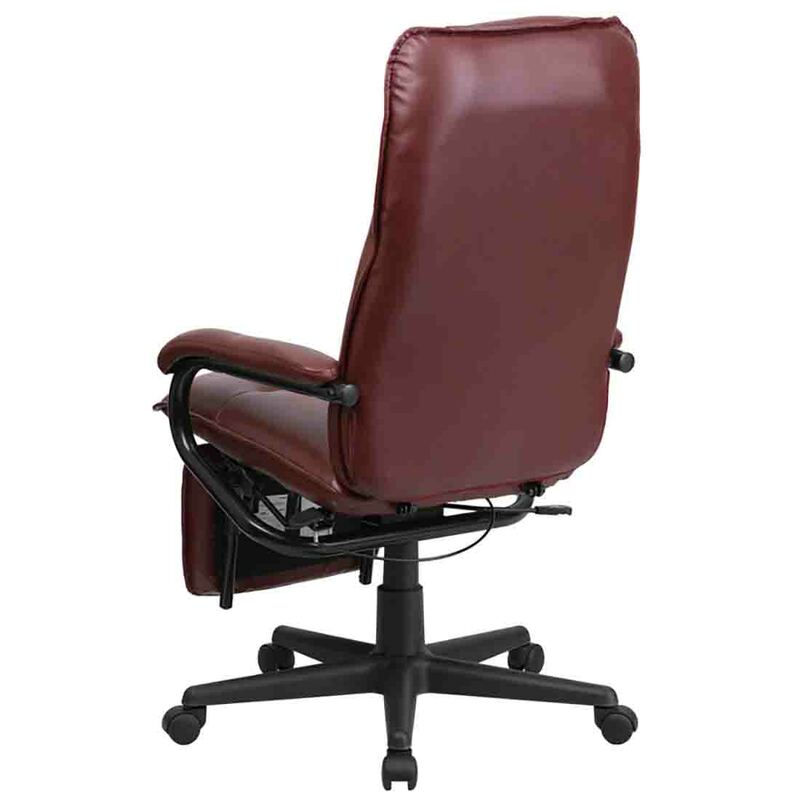 This office chair offers you the standard pneumatic seat height adjustment with the added bonus of a reclining back and easy touch adjustable footrest.